Ha, just when I thought I resisted the temptation to shop on Boxing Day.. the boxing day deals found me! Yesterday while we were grocery shopping at Superstore, I wandered into the Joe Fresh clothing section. Normally I rubberneck as we go by but never seriously look. Dear hubby ran out to get something from the vehicle so I had a few mins to kill. 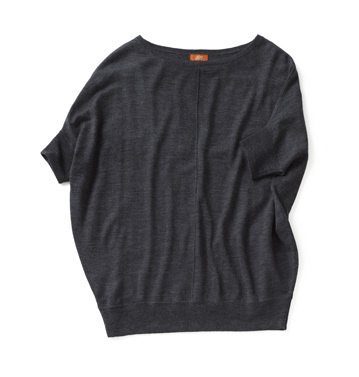 Then voila, I found this merino wool dolman sleeve top hanging in the clearance aisle for.... $2.94!